If you or a family member is finding it difficult to manage stairs, then a stairlift is a perfect way to regain mobility and to make sure their home is as comfortable as possible. Stairlifts help you regain your independence. Getting a stairlift installed means that you won’t need to worry about getting up and down the stairs any more, or even carrying items. There are a wide range of stairlifts on offer, and they can be customised precisely to your requirements and to the dimensions of your staircase. Whether you have a straight, curved or split-landing staircase, there’s a stairlift to suit your exact needs. Stay in your home. Obviously you’ll need to make the decision on your specific circumstances, but a stairlift could allow you to stay in your own home for longer. Make it easier to move around your home. A stairlift can really enhance your mobility, making it easier for you to get up and down your stairs, as well as moving things around like laundry. Increased independence. A stairlift could help you maintain your independence around your home for longer. Bespoke created for your home. Stairlifts are created to the exact measurements of your home, so you know you’ll get the perfect stairlift for your home. Range of styles to suit your needs. 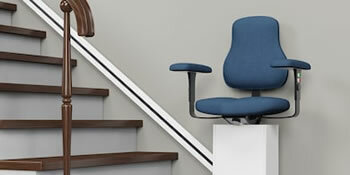 Stairlists come in a range of styles to suit your mobility requirements. No matter your needs, you’ll find a stairlift to suit you. If you’re struggling to move comfortably around your home, a stairlift is a great way to regain your independence and maintain your quality of life. Remember that you’ll want to make sure you get the ideal stairlift for your needs, so think carefully about your mobility and your needs, as well as any changes that might happen in the future. If you’re looking to get a stairlift installed, just fill out the form below to be matched with up to four reputable stairlift installation companies. They’ll come round to discuss your needs and leave you with quotes for your ideal stairlift. Project: Moving from one home to another similar semi detached house across road. Project: Stannah stairlift 260 curved main pcb need replacement.